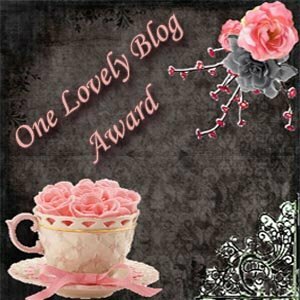 three days ago the ever-awesome Karen Rought passed the Lovely Blog Award on to me! Thank you so much Karen! I am now supposed to: thank the person who gave it to me, list 7 things about myself and pass it along to 7 others. I have already shared 7 random things about myself on this blog when I received the Very Inspiring Blog Award. So today I thought I would do something a little bit different. Instead of talking about myself per se, I’m going to talk about 7 reasons why I cannot wait for the UK release of the movie Les Miserables tomorrow. 1- I read Les Miserables for the first time when I was 10. It was an abridged version for children and I remember loving it, although at the time I had no idea why it was such a compelling story. 2- I finally read the full version of Les Miserables when I was 15 and it blew me away. I still know some quotes by heart. It was epic and moving, historical and timeless, incredibly well written and yet easy to read. It is one of the first books that made me want to be a writer. 4- By the time I was 20, I had also watched every possible movie rendition of Les Miserables. And let me tell you, some of them are bad. And weird. 4- Ten years ago I found out there was a musical based on Les Miserables (I know, a bit late to this party…). Two of my favourite things in the world! I saw it, and loved it. 5- Ten years ago, I also watched Gladiator for the first time and thought Russell Crowe was an awesome actor. I know he is way older than me, but I still have an odd crush on him. 6- But you may know if you read this blog that my biggest love when it comes to actors is Eddie Redmayne. Just watch The Pillars of the Eearth: I dare you not to love him. 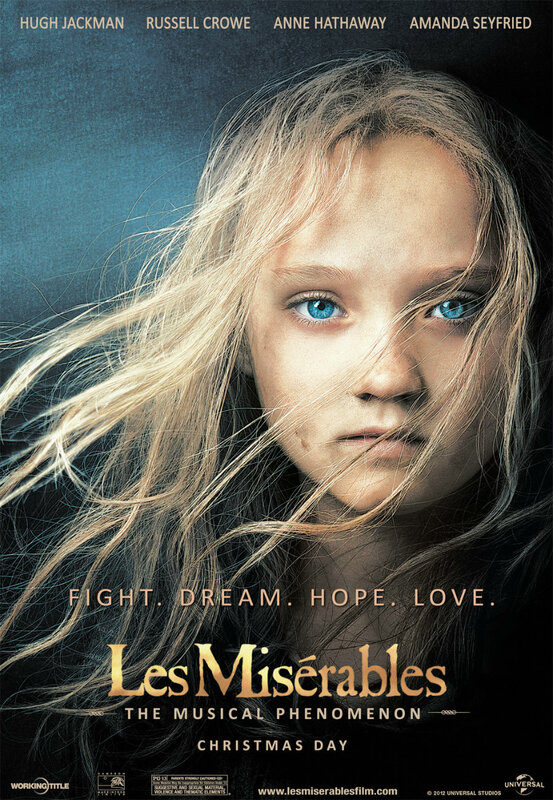 7- January 2013: a movie based on the musical Les Miserables is released. Russell Crowe and Eddie Redmayne star in it. Now you understand why I CAN’T WAIT FOR TOMORROW? Go and visit their blogs, they are all worth a read! This entry was posted in Uncategorized and tagged blog award, entertainment, film, Friday Film, Les Miserables, movie, One Lovely Blog Award, Victor Hugo. Hey EM, thanks much. That’s so lovely. Sorry, I couldn’t resist. Thanks, Eve! I can’t believe you’ve had to wait all this time to see Les Mis. Let me tell you it is most excellent. I wept and then found my Russell Crowe crush raging back with full force. Enjoy! I’m so jealous!! Glad to hear you thought it was a good movie, I’m sure I’ll enjoy it! I hope it was everything you dreamed it would be. Les Mis was the first big musical I ever saw (in London fresh off the plane from NZ) and it blew my mind. I’m also a huge Hugh Jackman fan, so I’m really looking forward too. Thanks for the award too! I’m delighted to have stumbled across this, old post though it is. My first introduction to LesMis was the movie at the start of the year. I’ve been obsessed ever since. Went and saw the stage production in London last month. Not read the full book yet, though every time I’m in Waterstones I pick it up and hunt for Javert quotes. I’m still trying to work out how to write a blog post about using Javert to help with becoming a better writer (“tell me quickly what’s the story, who so what and why and where, let him give a full description, lent him answer to Javert”…).